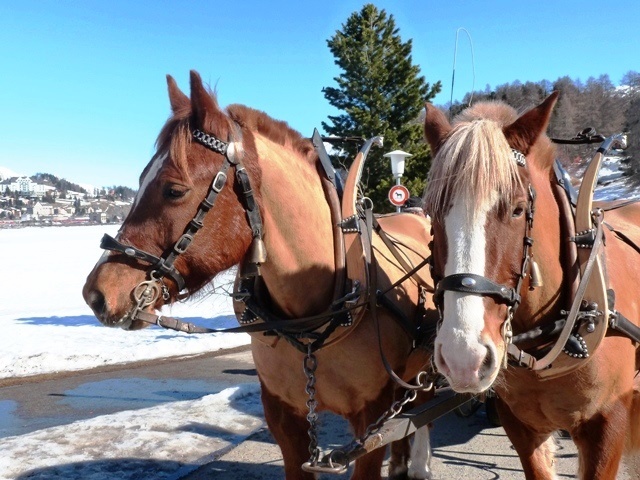 These lovely horses were standing beside St Moritz Lake on a sunny day in March. They takes tourists in a carriage around the popular and very chic ski town in the heart of the Swiss Alps. I was staying in St Moritz at the end of a train journey across Switzerland with a group a couple of years ago. It was our last day and I had left our hotel to explore the area before we left. 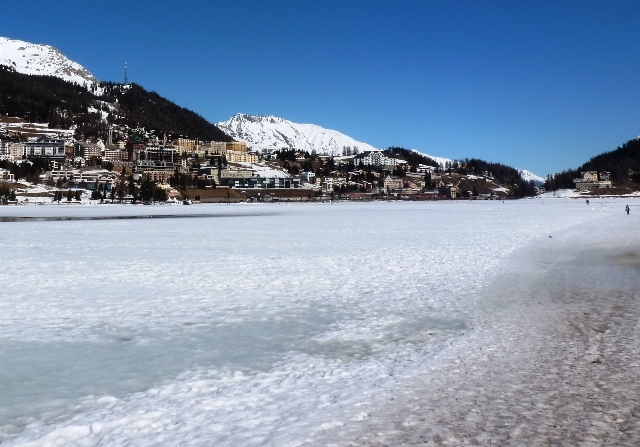 St Moritz Lake freezes over every year and they hold polo matches, horse races and even cricket tournaments on the ice during January, February and early March! We were lucky to arrive in St Moritz on the luxury Glacier Express and be there for the colourful Chalandamarz Festival, a celebration of spring and to visit the famous Olympic Bobsleigh racetrack – great fun! It must be cool to race across that lake! We went to Interlaken and up the Jungfrau but didn’t get to St Moritz. Want to try snowboarding there one day. What beautiful horses! It must be great to go on a carriage ride in the snow. I imagine being wrapped up in cosy blankets and feeling like Lara in Dr Zhivago! 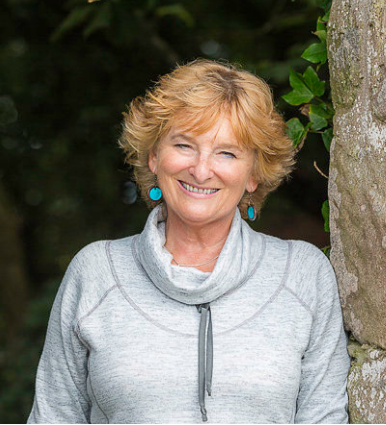 Thanks for your comment Carol. 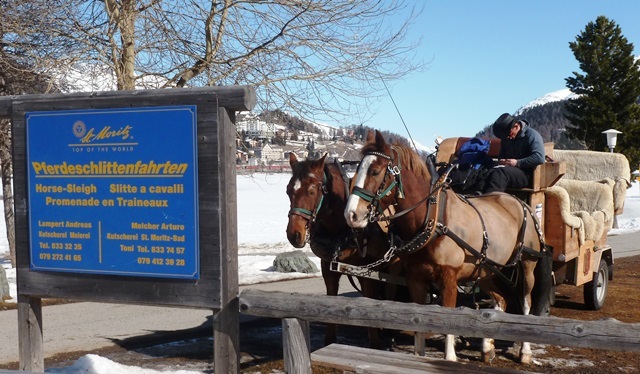 During our stay in St Moritz we went out at night in a horse-drawn carriage up to to a restaurant in the mountains – a magicla experience, only missing Omar Sharif aka Dr Zhivago 😉 Sure you’d love it.